Earlier this month, New Urban Arts received the Coming Up Taller award in D.C., this week they are back home and ready to celebrate. 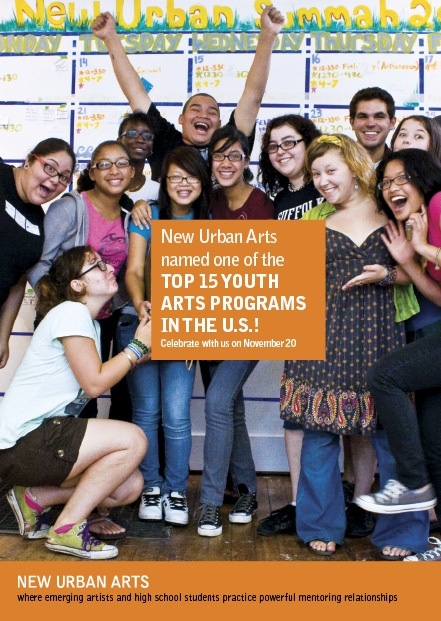 This Friday, Nov. 20th, New Urban Arts will have an award celebration at their Westminster Street studio from 4pm to 5pm, and an exhibition opening from 5pm to 7pm. The awards celebration is hosted by Myrth York and features Mayor David Cicilline, Deborah Gist RIDE Commissioner, Representatives from the President’s Committee on the Arts and the Humanities, New Urban Arts’ Founder Tyler Denmead, and others.